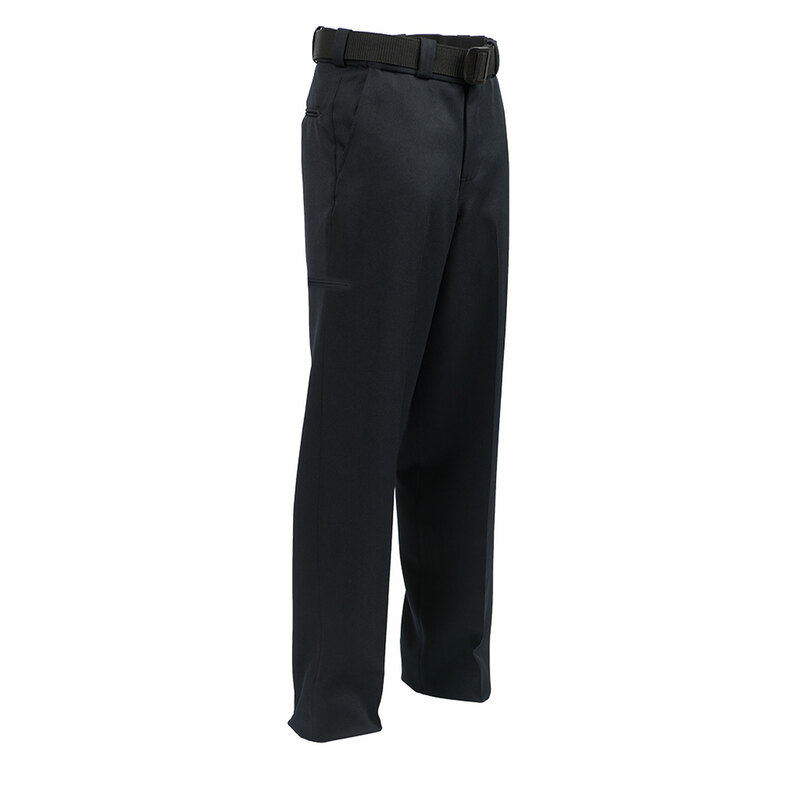 Distinction Trousers are made from a combination of polyester and wool for a fabric fusion that will not disappoint. Polyester fibers provide a built-in resistance to abrasions, tears and shrinkage, while wool gives you the natural breathability that polyester lacks, as well as its low-maintenance, hypoallergenic, anti-static and wrinkle-resistant properties. You will also enjoy the fuller range of motion that the stretch fabric and flex waistband afford. Packed with field-friendly features, such as discreet, secure storage and a covert waistband for duty belt. Creaset® front and back creases retain clean lines for an always crisp, professional appearance.